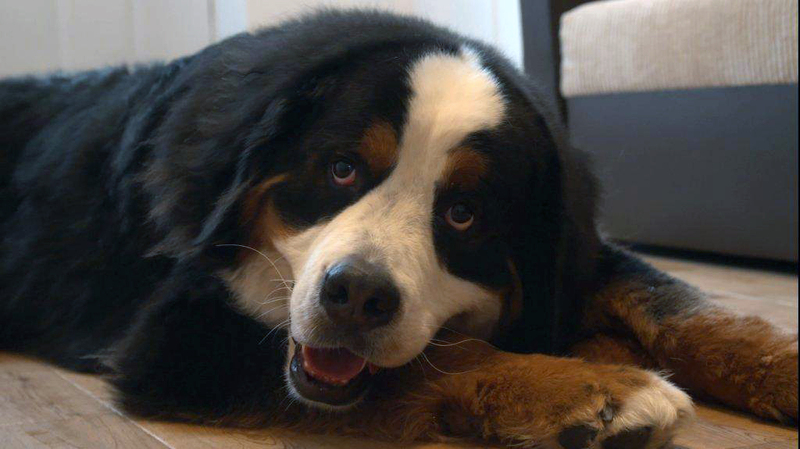 14 month old Bernese Mountain dog Guinness is rushed in by Alice and Glen after he is suddenly unable to stand. Noel discovers that an exploded disc in his spine is spreading infection and crushing his spinal cord. 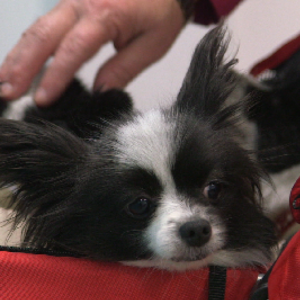 There is an anxious wait ahead for Guinness’s family as Noel attempts to reconstruct the damaged spine. 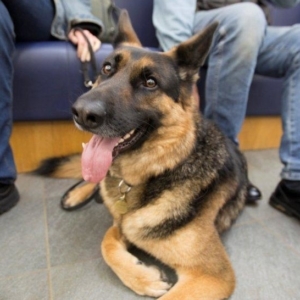 Alice and Glen rushed Guinness to Fitzpatrick Referrals after he suddenly lost the use of his back legs. Noel had recently treated Guinness for a spinal infection, but Guinness has suddenly deteriorated and now the situation was critical. Noel quickly examined Guinness to see if he still had feeling in his legs, which he did, giving Alice, Glen and the team a glimmer of hope. Next, Noel felt all the way down Guinness’ spine to find the point where a reflex in his skin stopped, which would enable him to locate the likely source of damage to his spinal cord. Noel suspected that either a disc had exploded or a vertebra had moved. The fact that Guinness could still feel his legs was a positive sign, but his neurological status was Grade 4 out of a possible 5 (a high score that classifies the severity of the damage), and so his prognosis remained guarded. The following day Guinness had a series of CT and MRI scans. Noel suspected an infected spinal disc had caused paralysis in Guinness’ back legs. The scans showed that a disc had exploded and sent out infected liquid into the spinal canal, squashing the spinal cord and resulting in Guinness’ clinical signs. Without the support of a healthy disc, the vertebrae on either side were unstable, which was a significant issue for the young dog. It is a bad situation for Guinness and the family but they want to give Guinness every chance of survival and told Noel to proceed with surgery. Later that evening Noel operated on Guinness to remove the exploded disc in his spine that was crushing his spinal cord. Unless Noel removed the obstruction and stabilised the damaged vertebra, Guinness would be facing permanent paralysis. Once all the puss was removed Noel was able to start to reconstruct Guinness’ spine and stabilise it using screws, clamps and rods to build a scaffold between the healthy vertebrae. To try and control any remaining infection Noel placed dissolvable antibiotic beads around the spinal scaffold. With the pressure on the spinal cord released Noel hoped it would now repair itself and allow Guinness to walk again. The operation went well but only time and recovery would tell whether Guinness was going to get back on all four paws once more. It was an immensely difficult time for Guinness’ family, Alice and Glen, who didn’t see him for a number of days. They received regular and daily updates from the team keeping them notified of the progress he was making each day. It was a tough wait for news, as following the surgery, Guinness was not making as swift progress as the team hoped. At the time nobody knew whether Guinness would ever fully recover from his spinal injury, but he had to show improvement if he was to have a good quality of life, otherwise, Alice and Glen would be faced with a tough decision. Another week later, there was finally some good news! 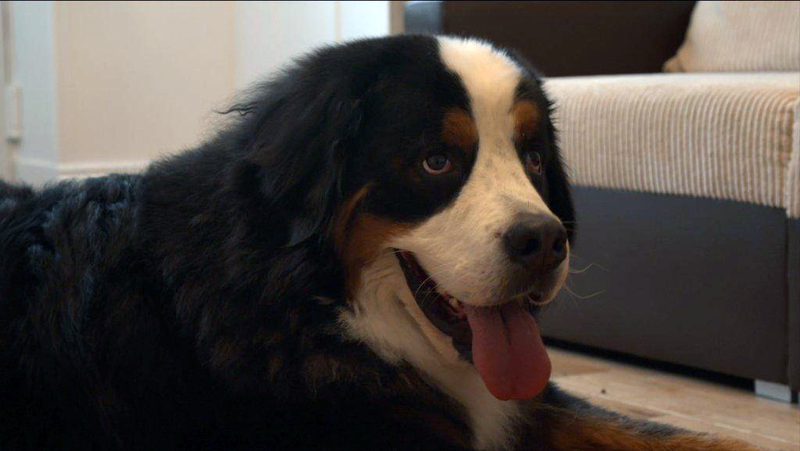 Thanks to daily physiotherapy and regular hydrotherapy sessions Guinness’ spine was slowly starting to recover. Guinness was starting to regain stronger movement of his hind legs and even started urinating independently. Determined to get Guinness back to his family, Noel tried everything to aid his recovery, including the use of his latest gadget; a hyperbaric oxygen chamber. 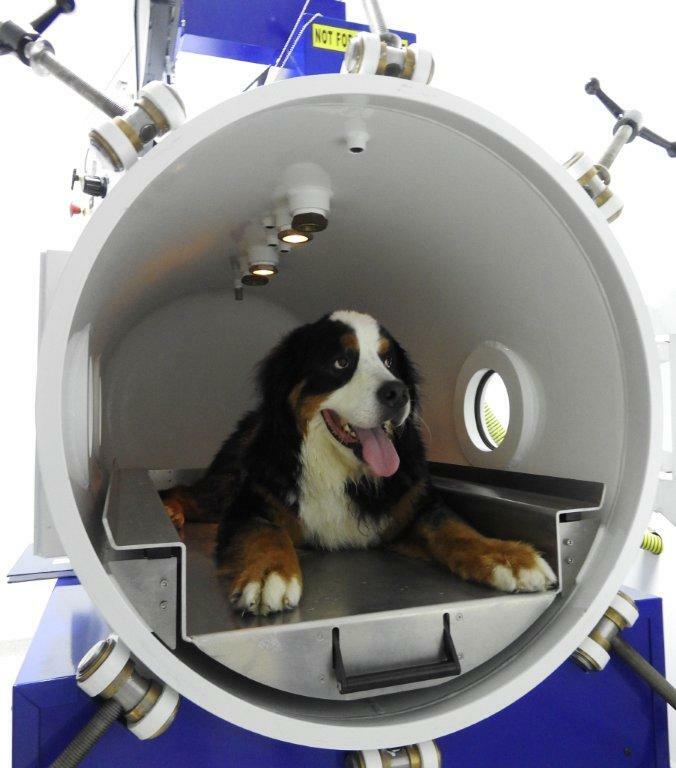 Hyperbaric oxygen has been used to re-oxygenate divers since the 1930’s, but research into its ability to promote tissue and wound healing is still evolving and Fitzpatrick Referrals are excited to explore the potential of this technology to help more and more patients. Within the chamber, the oxygen pressure is twice the normal atmospheric pressure which means that the oxygen levels in Guinness’ blood increase. It is hoped that increased oxygen tension around his spinal cord will improve its ability to heal. Guinness had daily hyperbaric oxygen treatments as well as physiotherapy and hydrotherapy, and as the weeks went on he improved and improved and the day finally came when he was strong enough to go home at last! It was a long journey and Guinness had to continue to work hard to improve the strength in his legs but seeing the big smile on his face is evidence that he is happy and healthy.